The Bicon Dental Implant Systems provide secure implants that look, feel, and function like natural teeth. Unlike traditional treatments of crowns, bridges, root canals and dentures, dental implants offer a permanent solution for your missing teeth. If you are missing one or more teeth and wish to eat your favourite foods, increase your chewing ability, enhance your appearance, smile and confidence, then you are a candidate for dental implants. In our daily practice, we often come across patients who, although they meet the ideal criteria for implant treatment, have insufficient bone. Bone grafting may partially solve the issue, but bone grafting is often expensive, is time-consuming, has inherent risks, and is often uncomfortable for the patient. Since 1985, Bicon Short Implants have provided and continue to provide an excellent alternative to bone grafting and can allow patients to more easily enjoy the benefits of implant treatment. THE BICON DESIGN is driven by simplicity. 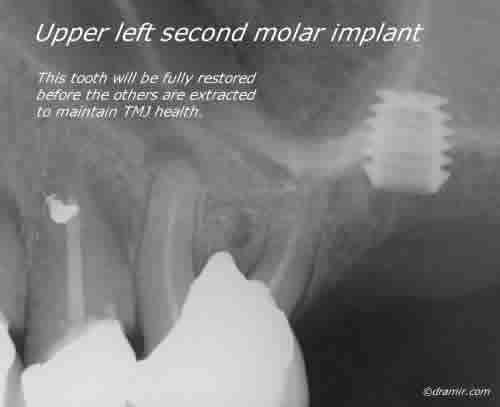 One of the cornerstones of that simplicity is the innovation of short implants. When the Bicon system was first introduced in 1985, its 8.0mm length implants were considered quite short—most other implants were at least 12-14mm and sometimes 18-20mm long! Since then, the natural progression of Bicon’s design philosophy has resulted in 5.0mm, 5.7mm, and 6.0mm short implants, all with proven clinical success far surpassing most other implant systems. In addition to more predictable and versatile placement techniques, Bicon’s design provides a bacterially-sealed implant to abutment connection. Bicon SHORT® Implants afford simpler and consistently more predictable treatments, which significantly increase your acceptance of implants. The Bicon System offers functional and gingivally aesthetic restorations, so that you may truly enjoy implant prostheses that look and feel like natural teeth. Additionally, the odors and tastes associated with screw implants are avoided. 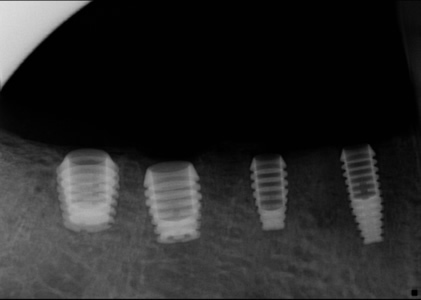 In this lecture, Dr. Urdaneta presents a series of clinical cases showing the positive effects of the Bicon locking taper implant and its use in a combination of therapies to increase bone and improve patient acceptance. Restoration of an upper 7th tooth with a recently placed Bicon implant. A longer implant would have pierced the sinus cavity. 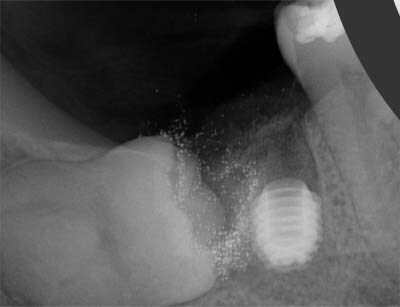 A Bicon implant recently inserted immediately after the extraction of the roots. If the implant takes successfully it is proposed to put a special fixing on it to try and upright the horizontally impacted wisdom tooth. A well embedded Bicon implant with a temporary crown bonded to neighbouring teeth. A two stage crown restoration for best aesthetics. Zirconia abutmaent and EMAX® crown. 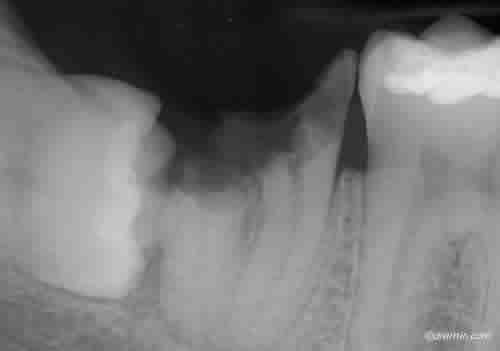 The completed crown 2 months after insertion. Please note the excellent condition of the gums around the tooth. Radiograph of the restoration. Please note that the Zirconia is radio opaque while the EMAX® crown is not. Please feel free to contact us if you wish to be assessed for any implant treatment.